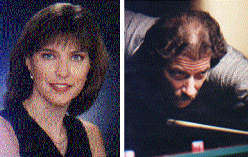 Loree Jon Jones, 36, and Jim Rempe, 54, have been voted into the BCA’s Hall of Fame. They will become the 42nd and 43rd members of the Hall. 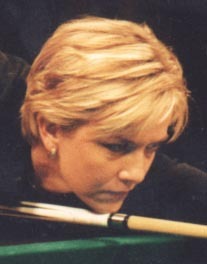 Jones was the youngest world champion when she won the Professional Pool Players Association world 14.1 title in 1981, beating Vicki Paski in the final. “It’s like the ending of a great book. I still want to play, but this makes it easier to walk away now. I’ve had such a fulfilling career. I went into a sport and met more goals than I could have imagined,” said Jones. Rempe holds numerous titles, was dominant on the men’s scene in the ’70s and is well-known overseas as an ambassador of American pool. Rempe was a holdover from last year’s ballot. “I had a feeling this would be my year,” he said from his Scranton, Pa., home. “I just felt like it was my time. It’s the cherry on top of the cake. The culmination of a life’s work. And to go in with Loree Jon is great,” he said. 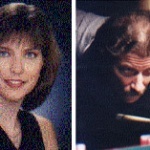 While the two players have long lists of achievements, both are still very active. Jones is ranked No. 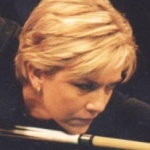 13 on the Women’s Professional Billiard Association tour, while Rempe has recently topped the field at Joss Northeast regional tour stops. The newest Hall of Fame members will be inducted at a banquet on July 27 at the BCA International Trade Show in New Orleans. Karen Corr is back on top. 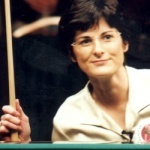 Corr won the WPBA Spring Classic, held April 17-21, at Viejas Casino in Alpine, Calif., defeating Jeanette Lee, 7-4. Corr gained a four-game lead at the beginning of the final match, and never fell behind. To reach the finals, Corr defeated Sarah Rousey, 9-2, Ikumi Ushiroda, 9-3, Line Kjoersvik, 9-7, Anita Kuczma, 9-4, Sarah Ellerby, 9-3, and Allison Fisher, 9-6. In the semi-finals, Lee defeated Helena Thornfeldt, 7-4, and then Fisher, 7-5. Corr’s win netted her $8,000; Lee’s second was worth $6,000; Fisher took third and $4,700. The final and both semi-final matches were taped by ESPN and will be shown on ESPN and ESPN2 starting in late June. The WPBA’s next event is the Midwest Classic, Aug. 21-25, at Par-A-Dice Hotel & Casino in East Peoria, Ill.
Allison Fisher is off to a blazing start. 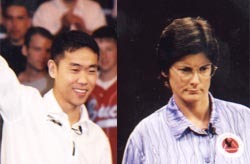 After taking the $10,000 title at the Cuetec Cues Players Championship in Valley Forge, Penn., March 15-17, she jetted to Taipei, Taiwan, to win the title at the Amway Cup, April 5-7, for $20,000. 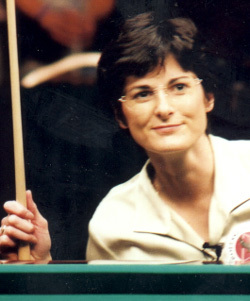 She beat Austria’s Gerda Hofstatter, who took $10,000 for second place, as well as host-country hero Shin Mei Liu, who took $8,000 for third. Chun-Chen (Jennifer) Chen, also of Taiwan, came in fourth.